After the UK, the US and Europe, now the Indian textiles and garments industry is set to get its own country-specific size, said union minister of textiles Smriti Irani at the Vibrant Gujarat Global Summit 2019. Speaking at the industry-specific event during the summit, Irani said, "In the apparel export segment, one of the biggest challenges is that UK has a size, US has a size, Europe has a size and a measure; but India does not. I hereby present a resolution by the government of India that soon, a size India project will be rolled out in the entire country; the first of its kind in Indian history." While a formal announcement is likely to be made soon, the Centre will embark upon a study to come up with such an India-specific size and measure in textiles and garments, said Irani. In a bid to come up with right policy in textiles, the government will also initiate a statistical study on domestic demand in the Indian market. "Ours is a country which has the capacity to create huge demand not only for the domestic industry, but also for the industry that comes from overseas. Never before in the history of our country was a study done to ascertain the strength and magnitude of our domestic market. The government of India will soon embark upon a statistical study to actually categorize the entire domestic demand of the Indian market, so that it becomes a base for policy creation and to further strengthen industry and manufacturing possibilities," Irani said. On the issue of embedded taxes under the Goods and Services Tax (GST) regime as well as demand for increase in rebate on state levies (ROSL) to boost exports which was earlier cut down by the government, Irani said that a resolution was being worked out. "It has been resolved by the PM Narendra Modi and the finance minister that taxes are not to be exported. We are under that resolution," she said. Enumerating the Prime Minister Narendra Modi-led government's extension of benefits in textiles, especially to Gujarat, since it came to power in 2014, Irani said that the Centre had dedicated Rs 7286 crore only for technology upgradation, of which Rs 1,855 crore came specific to Gujarat, thereby benefiting over 2100 units. "Pre-2014, Gujarat was given nice textile parks; post-2014, we under the leadership of PM Narendra Modi have sanctioned 17 textile parks worth Rs 5,614 crore, of which six are already completed. Close to Rs 30,000 crore of investment has flown into Gujarat, only and only post the subsidies given by Union government," said Irani. 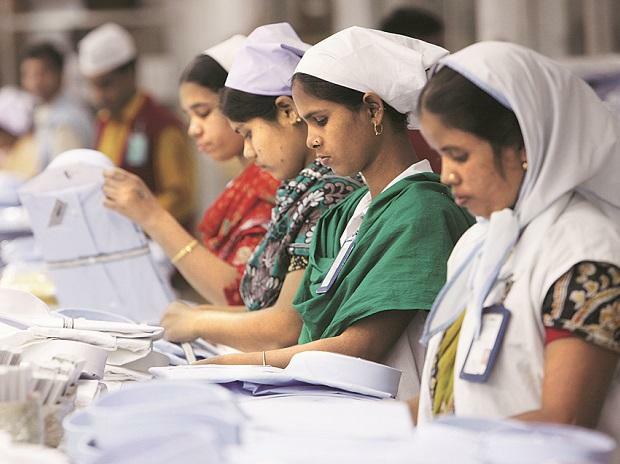 Meanwhile, some of the prominent investment intentions in textiles during the ninth edition of VGGS 2019 came from the likes of Welspun India, Ahmedabad-based Chiripal Group and Jindal Worldwide, among others.